Last year “Outlander” broke into the Emmys derby with a nomination for Best Music Composition (Series) and now it’s poised to do much better considering it’s an established mega-hit with strong critical acclaim. But how much better? 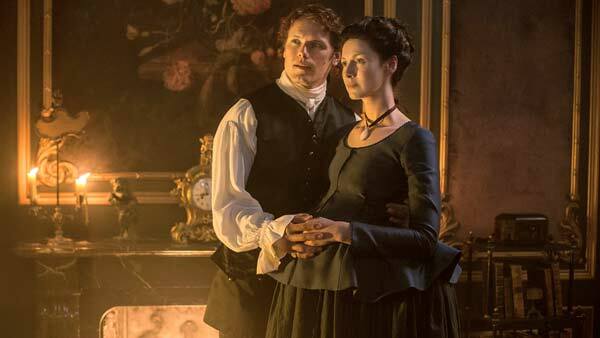 “Outlander” recently won top Critics’ Choice Awards (Most Exciting New Series and Most Bingeworthy Show) and People’s Choice Awards (Favorite Sci-Fi/Fantasy TV Show and Actress), but the Emmys can be tougher. Voters are snobs, but they sometimes overcome their bias against “genre” programs when they want to – like when “Game of Thrones” romped last year. Last year there were 75 contenders entered in this category, but about two-thirds of them didn’t really have a prayer of nabbing a nom – like Robin Tunney(“The Mentalist”) and Poppy Montgomery (“Unforgettable”). Caitriona Balfe is now a serious contender after scoring a Golden Globe nom. Sam Heughan‘s lusty profile may be a detriment at the Emmys if voters fail tolook past his chiseled jaw to observe his fine acting chops. That may be what happened to him at the Golden Globes where he was mysteriously snubbed even though his costars Balfe and Tobias Menzies got in. Good news for “Black Jack” (Menzies): Emmy voters adore villains like recent nominees Ben Mendelsohn (“Bloodline”) and Giancarlo Esposito (“Breaking Bad”). Terry Dresbach was recently nominated at the Costume Designers’ Guild, which means that her peers are paying attention. Previously, she won an Emmy for HBO series “Carnivàle.” This year she certainly deserves the kudos, having overseen the design of 10,000 costumes, many of which were made by hand. Bear McCreary was nominated for “Outlander” last year and won two years ago for “Black Sails,” so he’s got an excellent shot to return. Two talented contenders — Neville Kidd and Stephen McNutt – compete for their masterful lens work capturing epic Scottish landscapes and regal French estates. After recreating the haunting splendor of ancient Highland castles in the first TV season, production designer Gary Steele faced new challenges in season two that took viewers to King Louis XV‘s court at Versailles. Magnifique! And certainly Emmy-worthy. After last year's nonsense, I'm determined NOT to get caught up in the awards season. I will continue to show respect and appreciation of the quality of the entire show by watching and supporting our charities, and that's what I will do.